Recently, PepsiCo won the Workplace Gender Equality Agency (WGEA) Employer of Choice for Gender Equality (EOCGE) for 2018, out of 120 organisations who received a citation. The award recognises employer commitment and best practice in gender equality across Australian workplaces. 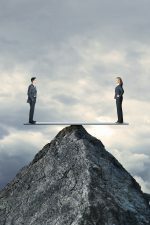 The 2018 list of companies recognised with a citation, has grown suggesting that gender equality is becoming more prevalent and widely recognised. WGEA Director Libby Lyons said: “I am particularly delighted to see some of the innovative and exciting initiatives by our EOCGE citation holders covering, amongst other things, flexibility, paid parental leave, supporting women in leadership and addressing gender pay gaps”. “WGEA data shows there is continuing momentum and progress towards gender equality in Australian workplaces, Ms Lyons said. Companies on the list for 2018 included Phillip Morris, Johnson & Johnson, BP Australia, Caltex Australia Limited, Viva Energy Australia Pty Ltd and Unilever Australia Ltd- to name a few. Ms Lyons said leadership and accountability were essential for progress to be made to shift the gender divisions within Australian workplaces. “That is why the work of our EOCGE citation holders is so important. It is only through more employers showing this type of leadership and accountability that we will see the pace of real change increase,” she said. For a full list of 2018 citation holders, visit the WGEA website.